From the onset, we have to state unequivocally that lousy writing hurts the readers' eyes besides wasting their time. We understand that not everyone has the gift of writing, but that does not mean that people have to contend with your poor writing skills. In fact, it is nowadays embarrassing to present a poorly written document before your classmates let alone your professors. With the thousands custom essay writing services, the world has become a place of possibilities where you can excel in areas you are least skilled. Writing essays in Spanish proves to be even more daunting given that most students in the United States have not mastered the language. Nevertheless, with the rising demands for Spanish assignment writing help, experts like spanishessays.org have come up to ensure students get reliable professional Spanish essay writing services. Students come to spanishessays.org when either they are stuck getting the topic to work, or they have no idea how to go about whatever they have at hand. The first step to writing a great Spanish essay is to have a topic that is simple, yet easy to handle. It has to be rich in ideas so that your research becomes more manageable. The benefits of working with our Spanish essay writers is that you will always know what works and what does not because we have the expertise and the experience with such papers. Therefore, when you decide to use our Spanish writing services, the first thing you have to be sure about is the Spanish essay topic that you want us to help you write. If you have none, our writers will help you identify a relevant one. Once you have a topic, the next step is to let our writers conduct extensive research around it to ensure they capture what other researchers and theorists say about it. This step is essential in taking a position from which you intend to argue in your paper. Thus, in your ‘write my Spanish essay’ request, be sure to include what you expect from the paper. In the order paper that we will provide, state the direction you want your paper to take. You do not have to worry if you are unable to figure it out, we can rely on the other aspects of your instructions to get it right. Our writers have access to thousands of sources on which they will count on to help you create the document, be it a Spanish research paper or essay. This means that you do not have to struggle to get the materials you want us to use on your essay; you can only upload what your teacher asked you to use, which we may not possess. The final stage that makes the paper is the writing stage. At spanishessays.org, we consider writing as the most critical step when it comes to handling Spanish essay assignments because you as well have a great idea and pass through the two earlier stages but then fail to express them eloquently in writing. At this stage, we bring together all the Spanish essay writing phrases you may want us to use or which we have to use inevitably. In fact, if you read around the internet, you will find that there many phrases that have been put together as some of the Spanish essay writing tips. We may not consider them as tips per se, but we might include them ensure your paper matches the expectations of your professors. These may also include some of the Spanish idiomatic expressions for essays, which we think may be an excessive use of platitudes in an academic paper, but some teachers and professors prefer them, especially in the Spanish essays for beginners. Therefore, we will cleverly use them in your paper to ensure you do not contravene the instructions from your teachers. This simple process will not take you minutes. When you click on the Order Now button, you can state your instructions and the specifications that you expect of your essay. 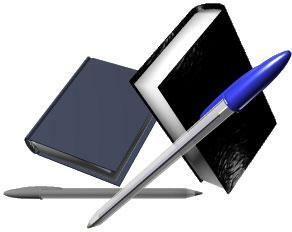 Our writers will write the document strictly according to your needs. Get in touch with us today for more information about our Spanish essay writing services or any other concerns.